He expressed these views in a meeting with National Highway Authority (NHA) North Zone General Manager, Noor Ul Hassan here at Governor House. 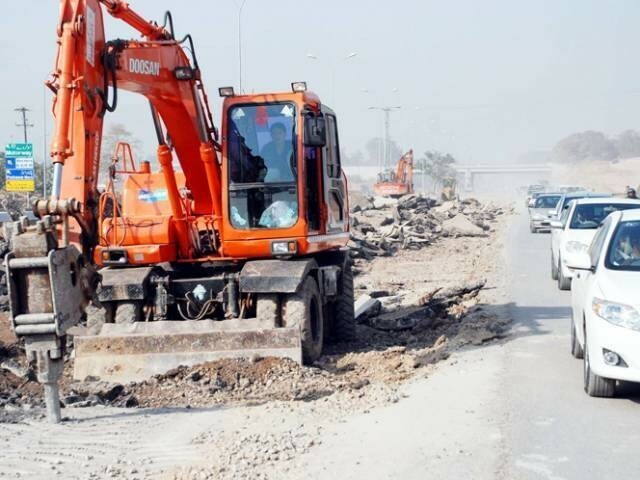 Governor Achakzai said there is an exigent need to pay special attention to timely construction and regular maintenance of the National Highways in Balochistan. During the meeting, different projects running under the management of NHA Balochistan were discussed including the construction of a highway from DI Khan to Quetta, Quetta to Karachi, Kalat to Chaman, Loralai to Meekhtar Highways, and building of bypasses and bridges along with these highways. The governor while emphasising timely completion of all the under-construction highways across the province, urged NHA management to prepare the Positive Crankcase Ventilation (PCV) and allocate sufficient budget for construction of more inter-connecting roads and by-passes in the province. The governor cited that timely construction of roads and by-passes would expedite business activities across the province. He stressed upon the NHA management to take potential steps for the maintenance of the existing highways and roads and should hold awareness campaigns to educate people about traffic rules for averting road accidents. NHA General Manager Noorul Hassan assured the governor of timely completion of all ongoing under-construction highway and road projects.